Want to get your practice off to a great start? 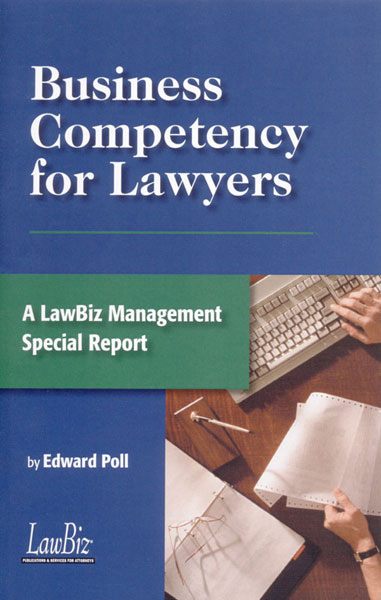 Ed Poll provides you with ways to simplifying the process of operating a law practice. His insightful strategies and tactics help you find satisfaction and fulfillment in your career. Create a firm that will be successful by design, not by accident, and you'll be more effective with your clients and more profitable. 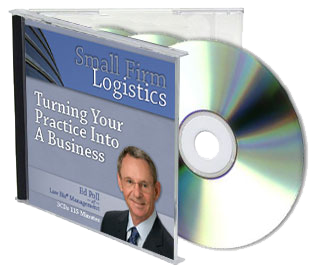 Order today to discover how to successfully launch your practice. 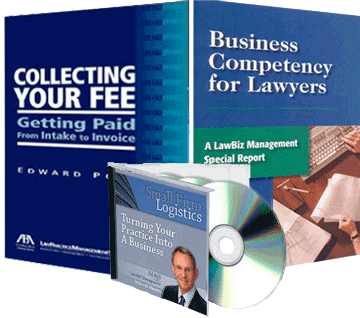 "This slim book is geared toward solo and small firm lawyers – especially those just starting out. It would also be especially helpful to those lawyers suffering from a constant backlog of clients who never seem to pay their bills on time." 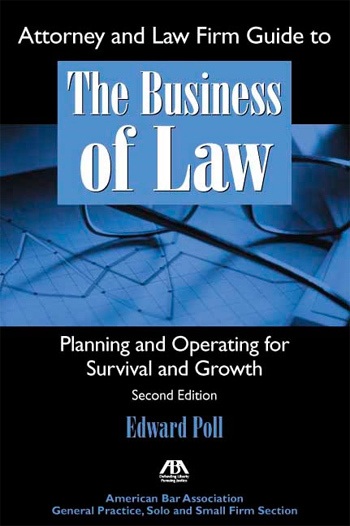 Ed Poll had simplified the mystical process of operating a law practice so anyone can be more effective with his/her clients and become more profitable.